We had a young fan here, Kai, who used to post prolifically, a friendly chap who I liked, but unfortunately he has stopped posting on this and other Tull chat boards. I know the reasons why, I've reached out to him to discuss the issue, but have not heard back. Kai, if you're out there and reading this, the Tull Board wants you back! P.S. Kai, drop me a line if you'd like.....we can talk. Just kidding. Kai was cool. I guess he just got sick of all the fighting between the Hatfield and the McCoys. Who knew the Hatfields and McCoys listened to Tull. I would think they were more Hank Williams Jr. fans. In any case, Kai had good insights and a good ear for music. I appreciate the kind words Morthoron (sort of surprised)--I've come to respect your hilarious pessimism very much and wish most people here (past and present) had the same humor. Ian and Martin are going to die within the next two decades most likely--probably sooner than later, and their fans are picking sides like they are in middle school cliques. Even Martin expressed his disinterest in winning any Tull fan loyalty in the recent interview. His nihilism in this subject is completely understood by me--all you have to do is read the posts. This warlike loyalty to martin alas is in vain. Many of you guys are still digging at old feuds and posting angry messages at elderly rock stars. I'm finding a lot of the same the only difference is there is less population now--alas the "leader" ego has faded into internet isolation and "Ian is now a posting member!" has brought nothing. I like Tull better when I'm not reading posts by full grown middle aged men whining about a 70s rock band as if it's actually important. That "lighter side of tull" stuff is just a comparison to your competitor--that's not what leaders do. You guys are wondering why posting has lessened, guessing it's because of the lack of Tull shows and the death of the band--the irony is monty python-esque. It would give me a good laugh if it didn't mean that there is no place where a leisurely Tull fan can talk about their favorite band without witnessing grown men living out their high school anger through judging high school heroes. That's weird. He returns for two weeks and then leaves all because he doesn't like the opinions of one of our members here (housebrick). It appears as though our young friend is not very tolerant of opinions or sentiments that differ from his own. 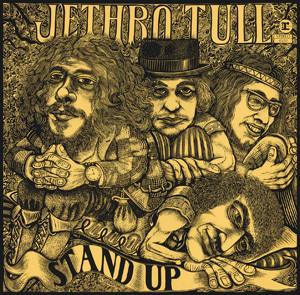 BTW, the lighter side of Tull has nothing to do with "comparisons", rather it is a slogan that I came up with because I think that it best describes the spirit of irreverent humor that has always been a hallmark of Tthe Jethro Tull Board. hmmm I remember when I was young - vaguely. I can see the point he makes about the level of criticism. I took my son (23 now) to Tull for the first time when he was about 13 or 14, we still go whenever we can. He views the issues I have from a completely different angle. I think it has something to do with how we - how I experienced music in the early seventies. There was less choice of music, it was not so easily available, there was far more difference between bands. We were very much into the developement of music, knew when a new album of our favourites was on the was, it was far mor of en event. The music developed from intense touring, bands got their fans through concerts, we witnessed developements in style, music, personnel, it was a more integral part of our lives. Well at least it was for me. I can understand how the emotions I have with Ian versus Martin, Ian Anderson versus Jethro Tull, the setlist, are very different from Kai's and I think thats ok. Let's just understand where each one comes from and respect that. I'm thrilled that young people like Kai enjoy Tull. so lets keep him close to our hearts! I agree, Pieter, and I was thinking the same thing. Kai is young, he only recently discovered Tull a few years ago, whereas for us middle-aged folks, the band has been an important part of our lives for 30-35 years, it's almost like a marriage where certain things annoy you about your spouse, and you might complain, but deep down you still love the person. I also think that in the case of Martin (unlike other past members), there is such a deep emotional connection and attachment that fans have developed to his playing, for so many years, not to mention his humble, amiable stage personna, that it was really upsetting to see the split between IA and MB. There is such a strong feeling among fans that those two guys just belong together, so it was very disheartening to many for Martin to be out of the band, and now to hear Ian proclaiming the Death of Tull. Kai is young, so perhaps he cannot fully understand the depth of the emotional attachment that older fans feel toward Martin, and the same applies to Doane. So he looks at things from a different perspective, as you say. Certainly, Kai was free to vent or respond to any criticism of the band that he felt was undue, and fully make his point that the criticism went too far, we of course would have respected his opinion. After all that's what a forum is supposed to be about....sharing viewpoints and opinions. But I don't get why he had to up and leave so abruptly, especially after I went to great lengths to coax him to return after he left for other reasons about 8 months ago, and also after many of us tried to extend our hand in friendship. I think he should really reconsider. Imagine that, a farewell post made up of whining about whining.